Madeleine came to animation through a desire to combine her love of sculpture, photography, illustration, film and storytelling in to a single outcome. 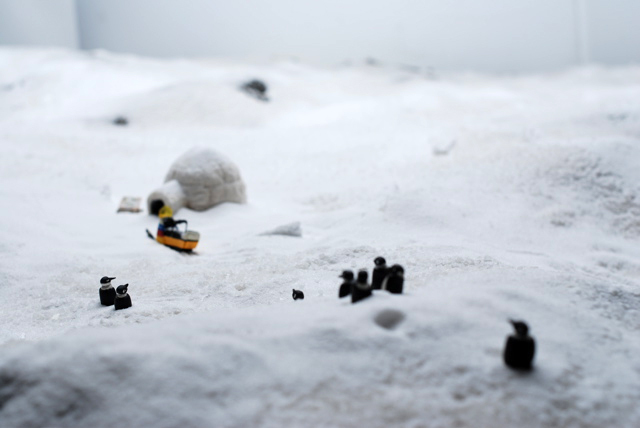 She began by teaching her self stop motion animation on Super 8 film. She specialised in animation while earning a degree in Media Arts from RMIT Melbourne. Her love of 2D animation and fascination with Adobe After Effects led her to apply for an internship with Director Benjamin Goldman in Los Angeles. She successfully applied for a special skills visa to return to America and work with Benjamin Goldman on a second project. 'New York Divided.' The History Channel and the New York Historical Society. Animated by Benjamin Goldman, Rich Ramazinski, Madeleine Griffith. Music Video for Benjamin Goldman Pictures 'Mercy Me' for the Alkaline Trio. Rotorscoped loops of strangers eating. Interactive Animation exploring folklore, curiosity and its repercussions. TV Pilot - 'King Penguin'. Prop Maker. Stop Motion Animator. Animated a series of scenes to be used in amongst live action sequences. Model construction used for exterior shots. Gallery based interactive animations Co created with Olivia Hamilton. These images are from two exhibitions, one at West Space and one at Conical, that were produced in collaboration with Madeleine Griffith. 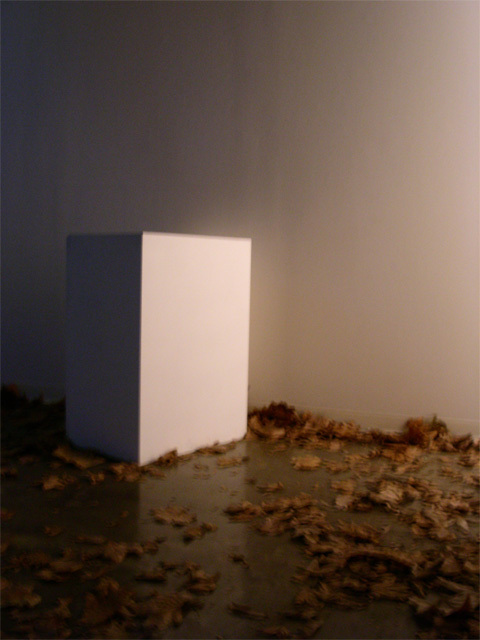 The viewer entered a room that appeared empty except for a box and the leaves. When the participants approached looked into the box they could see them selves- not in the room they were in but in a fantastical forest. Beneath there feet they could feel the leaves rustling. The images was constructed across various planes. A video camera filmed participant through a series of miniature paper cuts placed in front of the lenses. The participant was back lit by screened light making them into a silouhette on a white back ground. This appeared in live time on the tv at the bottom of the box. Mounted above the tv were a series of transparent planes with images that would line up from the participants view point to produce the dense forest. Disparate elements are momentarily united to become a cohesive space in the eye of the participant. The viewer discovers they not only the audience but also the performer, animating a previously unseen scene.